Is your Windows 10 very slow or the PC takes longer to respond or gets stuck with the running program at the same time. And the whole Windows 10 becomes unresponsive? Then, this article is for you here check out complete fixes to get rid of the extremely slow and unresponsive Windows 10 computer and optimize Windows 10 performance. Well, the Windows operating system somehow becomes slow and even unresponsive after some time. However, some users reported Windows 10 is very slow and unresponsive after updating. No matter which problem is bothering you and your Windows 10 running slow or slow to respond, try the below-given list of solutions to resolve Windows 10 slow issue. But first check out what causes your Windows 10 slow to respond, to fix slow and freezing computer easily. You can also check our latest guide to fix Windows 10 slow internet and browse the web flawlessly on Windows 10. These are some of the common reasons that help you understand what causes Windows 10 very slow and unresponsive. Well, the list won’t cover all the reasons but it gives you a head start on understanding the slow performance issues on Windows 10/8/7. Hardware failure can also make Windows 10 slow and unresponsive. To fix slow Windows 10 PC/laptop try the below given solutions one by one carefully but first try some manual tweaks to resolve Windows 10 slow issue by your own – restart your system, disable TSRs (Terminate and Stay Resident program) and startup programs, delete temp files, disconnect all peripherals including USB devices like printers, hard drives, cameras, etc. and install latest Windows updates. 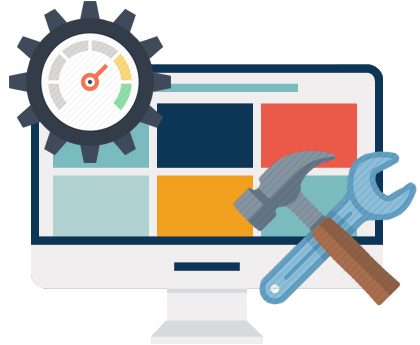 Despite this you can make use of the Windows Repair Tool, to fix Windows issues and errors like slow computer, corrupted Windows system files, malware/virus infection, replace missing files, hard drives issues, hardware failure and much more. 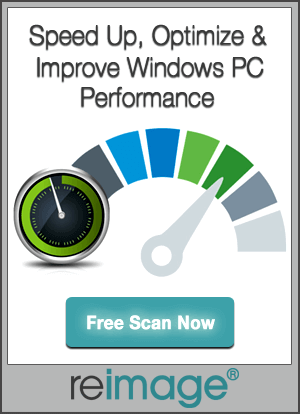 This is easy to use all you need to do is install and press the scan button, this will fix all the issues and errors automatically and also optimize the Windows PC performance. Just like the predecessor Windows 10 is also vulnerable to virus and malware infection. And if the PC/laptop is infected with viruses, this can make your machine to run slow. So, make sure to scan your Windows 10 system with the good antivirus software at the regular interval of time. Or you can also try removing the virus without using antivirus software. And restart your Windows 10 computer and check if the Windows 10 slow to respond issue is resolved or not. Generally, the third-party applications cause Windows 10 slow to respond. So, check and disable the third party applications those are slowing down Windows 10 startup. As the Task Manager opens > go to the Startup tab, and sort the processes by the Startup impact rating. In high category disable processes > but avoid disabling essential programs like antivirus. Doing these easy tweaks will help you to improve Windows 10 performance by fixing Windows 10 very slow and unresponsive issue. 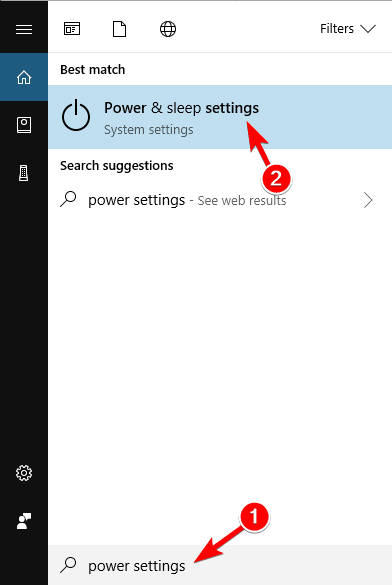 Microsoft has added the latest feature named Hybrid Startup and Shutdown this will put your PC/laptop into a hibernation state and improves startup and shutdown process. This may consume somewhat more power but don’t turn off the machine completely. So, make sure to enable the fast startup option. 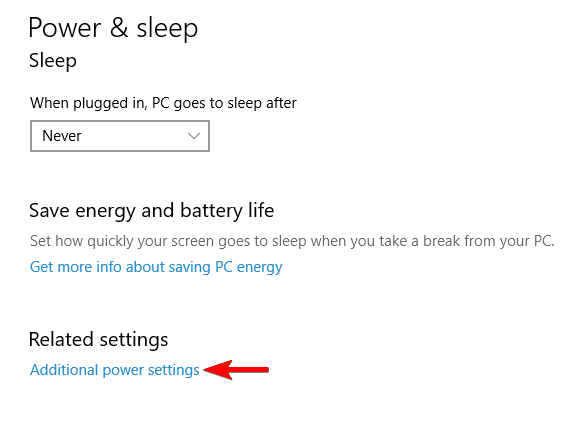 Hit Windows Key + S > enter power settings > choose Power & sleep settings. Click on Choose what the power button does from the menu on left. And select Change settings that are currently unavailable. Now check if the Windows 10 so slow unusable issue is resolved or not. Windows 10 contains plenty of Microsoft services, some of them are essential and some are unnecessary so, make sure to turn off unnecessary Windows 10 services for better performance. Read the recent article of me to know the unnecessary services that are safe-to-disable in Windows 10 for better performance. Windows 10 is having many visual effects and other graphics that look beautiful but also slow down the Windows 10 system. 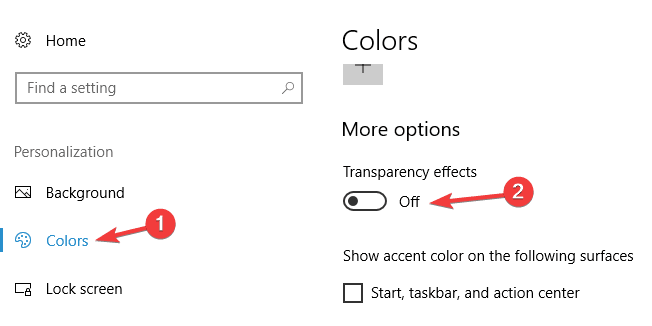 So, disable these effects to speed up windows 10 performance. Go to Settings app open it > click on Personalization. Then click on Colors > set Transparency effects to Off. This simple and easy tweaks will work for you to fix Windows 10 so slow unusable and unresponsive. As said above, the corrupted or fragmented hard drive can cause the Windows 10 slow to respond. So, here you need to defragment your drive, but if you are using the solid state drive then skip this solution. 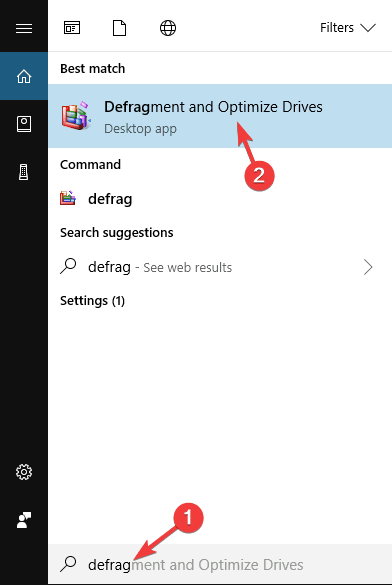 Windows 10 is having its own fragmentation tool you can defragment your drives by using this. Hit Windows Key + S > type defrag > select Defragment and Optimize Drives. 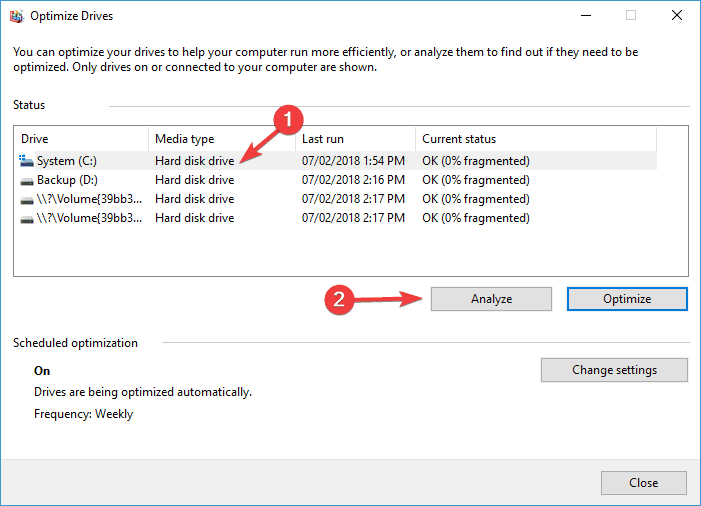 As the Optimize Drives window opens > choose the desired drive > click on Analyze. Now, wait till Windows defragments your drive. And after completing repeat the process for all drives. As the defragmentation process is finished, restart your machine and check if the Windows 10 very slow and unresponsive issue is resolved or not. The outdated drivers and applications can also make the windows 10 slow, lagging and freezing and the running programs get stuck in between. So it is very important to update them with the latest updates. Just like the applications, it is also important to update the outdated drivers as this may cause Windows 10 slow to perform. To update the drivers you can go to the Microsoft official website or to Manufacturer official website and search for the latest update and install them. Despite this you can also make the whole process easy by making use of the Driver Booster, this automatically updates the drivers and fix other drivers related issues. 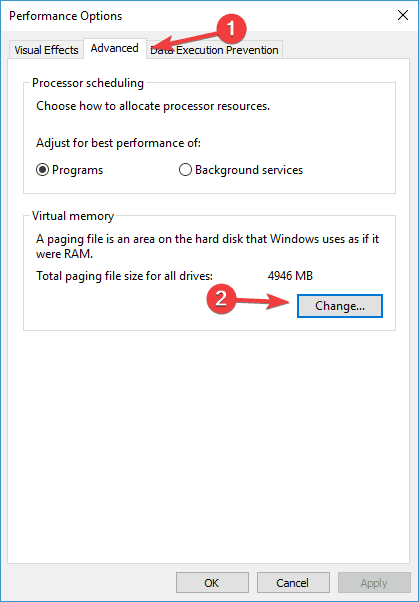 Virtual memory is very important for the Windows 10 to perform better, the Windows 10 automatically manages the size of virtual memory but it can be changed manually as well. 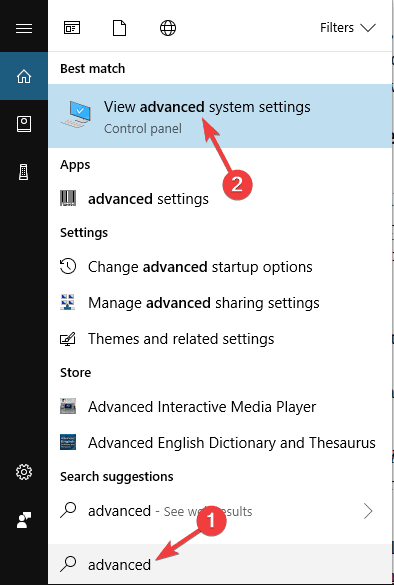 Hit Windows Key + S > enter advanced > choose View advanced system settings. 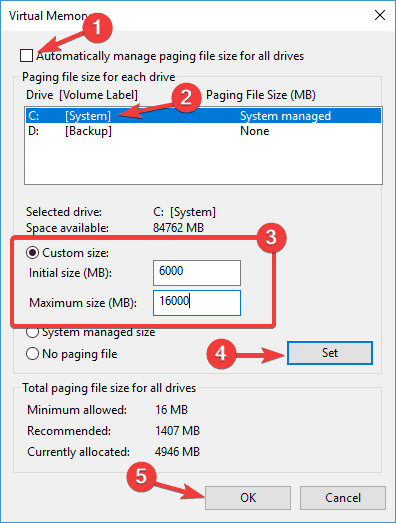 As the Virtual Memory window opens > uncheck automatically manage paging file size for all drives > choose the Custom size, and enter Initial Size and Maximum size. Then click on the Set button > OK to save changes. And after this, you need to set the virtual memory size for that drive and to fix the PC is very slow and unresponsive Windows 10, you have to set the manual size for all drives. The size of the virtual memory is related to the size of the RAM and as a common rule, the initial size should be at least 1.5 times larger than the amount of RAM memory on the PC. And for maximum size, it should be at least 4 times larger than the amount of RAM on your PC. The high CPU usage in Windows can also make the Windows 10 extremely slow. 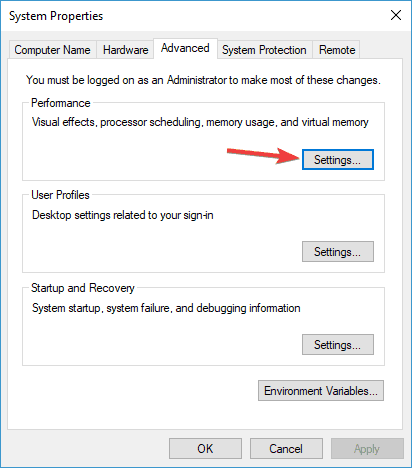 Follow the fixes given in the article to fix high CPU and RAM usage in Windows 10 to troubleshoot Windows 10 slow with high CPU usage issue. 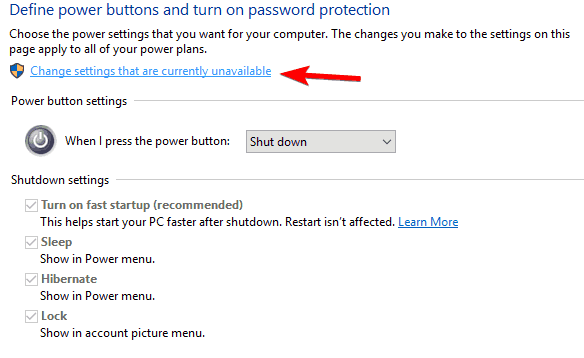 Windows 10 taking longer to boot up or slow startup time, then this also causes Windows 10 slow performance issue. Try the fixes given in the article to fix Windows 10 slow boot/ start time and optimize Windows 10 performance. Hope, this works for you to speed up start time on your PC. The 100% Disk usage error in task manager is another problem that may cause the Windows 10 slow performance. This is a common problem faced by users due to running multiple programs and software on the PC. Well, to fix the Windows 10 100% disk usage in Task Manager problem follow the fixes given in the article fix 100% Disk Usage in Windows 10. Hope the given tricks help you to fix the windows 10 very slow and unresponsive issue but if not then it is advised to perform a clean Windows 10 install. 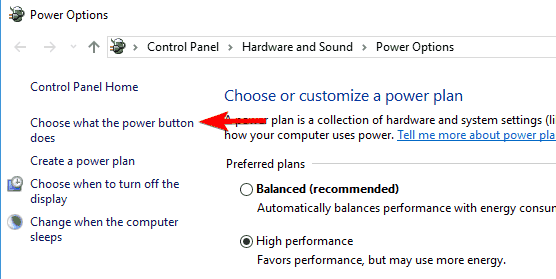 Sometimes due to the software issues, while upgrading to Windows 10 from Windows 7 or Windows 8, the computer slows down. So, perform a clean install of Windows 10, but first backup the important data. It is estimated after performing the given fixes Windows 10 very slow and unresponsive issue is resolved or not. Make sure to follow each and every solution carefully to avoid any further issues. If you have query or question then feel free to share it with us. You can contact us on the http://ask.pcerror-fix.com.